Achoo! Do mountain cedars make you see red? Hey, they’re just doing their job like other trees, grasses, and wildflowers. 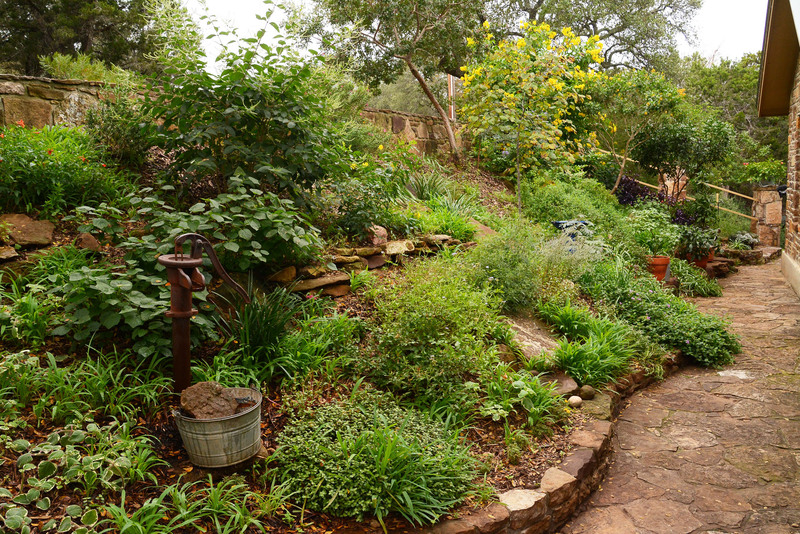 Landscape designer and ecologist Elizabeth McGreevy explores their value to our holistic ecology, ways to alleviate allergies, and how to prune for fire safety. Watch for her tell-all book in August 2019, Wanted! Mountain Cedar: Dead and Alive! On tour in cedar country, artist Claudia Reese of Cera-Mix Studio respected her native plants when she built her compressed earth house and rainwater collection, detailed with her signature mosaic designs. Weather swings from record highs to frosty temps make winter tricky for plants: Daphne explains why. Plus, find out how to grow drought-tough, easy-care screening Lady Banks rose. Make free plants with Herb n’ Cowgirl Ann McCormick’s demo on propagating woody stemmed plants! On a rocky hilltop in West Austin, Cera-Mix Studio artist Claudia Reese sculpted a home and garden tied into the land with the intricacy and passion she brings to her mosaics, tiles, and sculptures. Inspired by Pliny Fisk of the Center for Maximum Potential Building Systems, she designed resourceful living, from rainwater collection to a compressed earth house and outdoor living. Do winter weather swings harm plants? Our most noticeable extreme weather swings happen in the winter, which are mostly mild, interrupted by usually short bursts of extreme cold and wet weather. And yes, many plants are adversely affected by this. Through complex biochemical processes, plants are able to detect the hours of daylight in their environment, the intensity and color of that light, and the temperature and humidity of their surroundings. Taken together, all of these factors greatly influence plant growth and development. 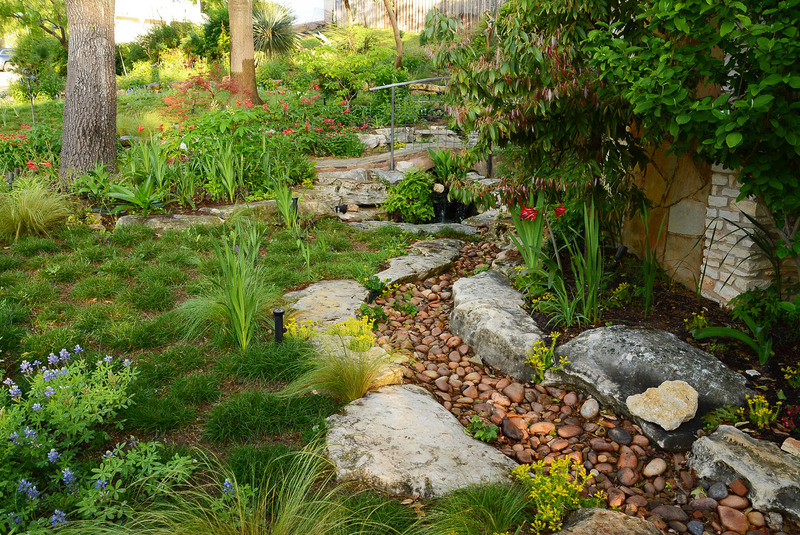 One big change that many of us have made in our landscapes is the use of more heat and drought-tolerant plants, to adjust for our extreme summers. Many of those new plants are low-desert succulents that are not accustomed to cold/wet winters. And even plants that we may remember from childhood are also adversely affected by these new weather patterns. Most temperate-zone tree, especially fruit trees, are accustomed to more uniformly cold weather, and the jump from cold to warm tricks them into sprouting tender new leaves that get nipped when we dip back below freezing. Lady Banks is an extremely vigorous, evergreen, thornless, climbing rose. It can easily grow 10-15’ tall and wide, so don’t try to grow it on a wimpy trellis. 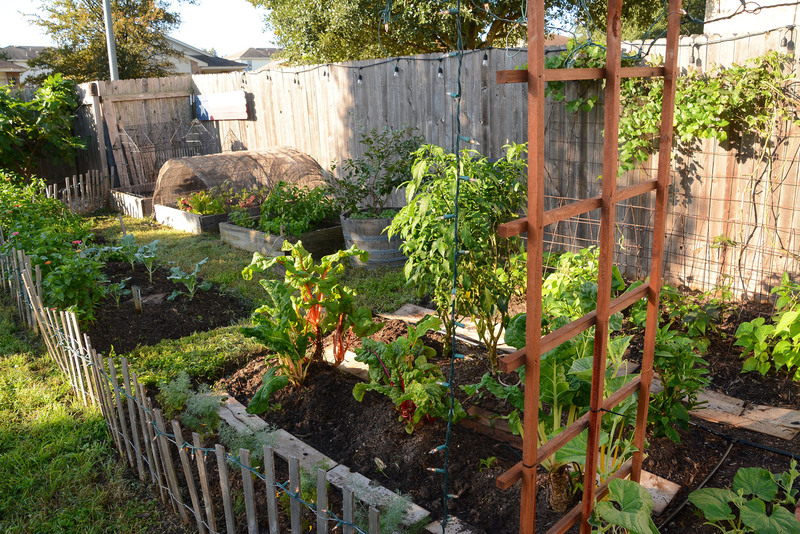 Give it a sturdy arbor or fence, or simply let it fill a large spot with its cascading shape. 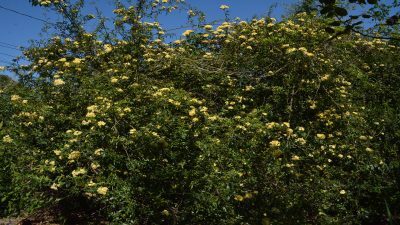 Although referred to as a “climbing rose,” if left to its own devices, it forms an arching “shrub.” You can prune and train it to climb along an arbor or fence or leave it in a shrubby form to screen or frame a view. Give Lady Banks at least six hours of sun. As long as it has soil of some kind, it doesn’t require fertilizer. Once established, it needs very little water, though in hot, dry summers, it will appreciate some irrigation. Otherwise, it will respond just fine after the first fall and winter rains. No pests or diseases bother it and neither do deer. Birds do love to nest in its mature boughs! In early spring, it showers hundreds of dime-sized butter-yellow or white flowers. The white one is fragrant! It is evergreen in milder climates. It only flowers once a year, so prune its lengthy canes to shape and control it after flowering. If you need to prune it before then, that will be fine, but you may lose a few flowers. Make free plants with Herb n’ Cowgirl Ann McCormick’s demo on propagating woody stemmed plants!